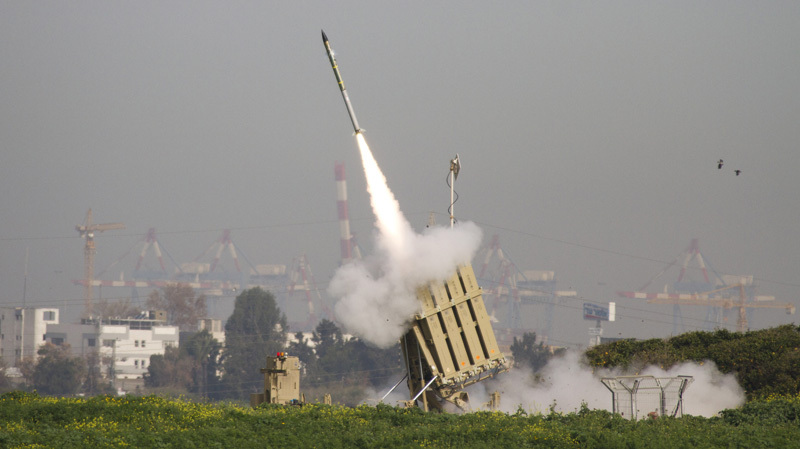 The Iron Dome system has intercepted 90 percent of missile attacks on urban centers during the latest rocket bombardment from Gaza. The expensive systems were inaugurated last year amid controversy over its worth. A primitive Kassam rocket costs terrorists only a few hundred dollars while each Iron Dome anti-missile missile costs $50,000. Prime Minister Binyamin Netanyahu stated Saturday night, “We will continue to improve home front defense including by means of additional Iron Dome systems, the effectiveness of which was shown again over the weekend." The Iron Dome system intercepted about 90 percent of the rockets fired at Be’er Sheva, Ashdod and Ashkelon, including three on Sunday morning.